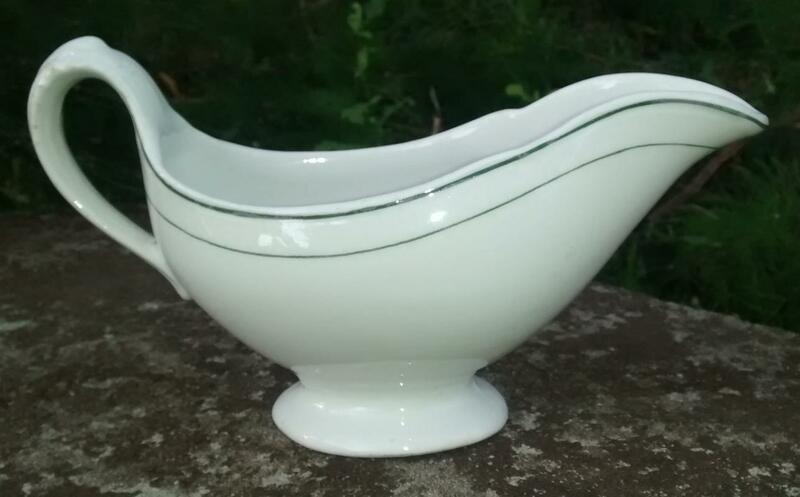 Dining hall / restaurant ware gravy, or sauce boat, made for the "First M. E. Church", circa 1900. 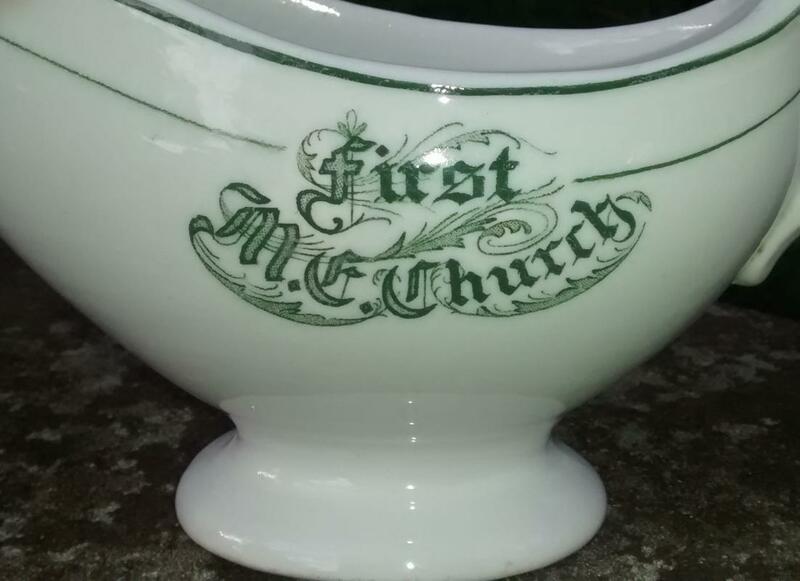 There were many Methodist / Episcopal churches at the turn of the 20th century, so it's hard to pinpoint which church it was made for, as it has no manufacturer's mark. Simple dark green lines offset by an elaborate top-mark. 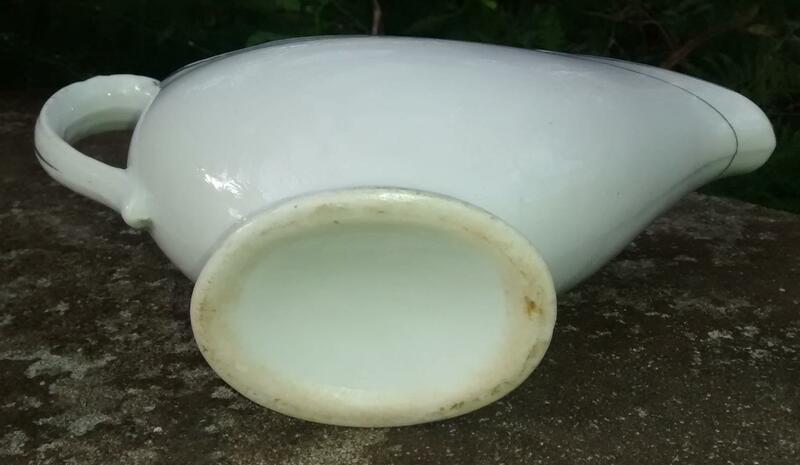 Measures 8.75"l x 5"h. Nice, used condition with no chips or cracks. Inglenook Antiques...Established 1989. 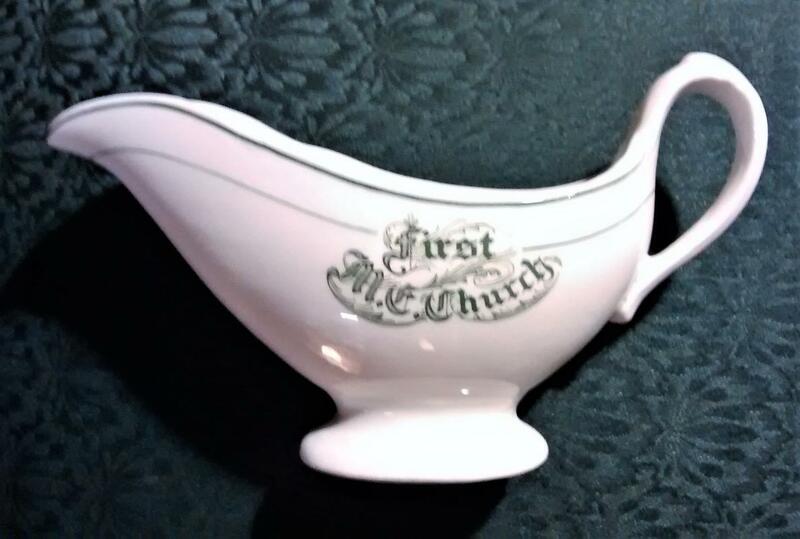 Items Similar To ""First M. E. Church" Ceramic Gravy/Sauce Boat Ca. 1900 Methodist/..."